JOIN THE FISHING FUN AND SUPPORT A GREAT CAUSE! 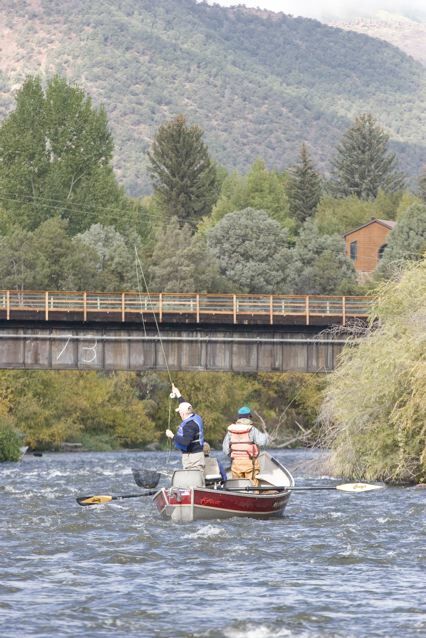 Mark Cooper, former Denver Bronco, hosts his annual Rocky Mountain Fly Fishing Classic in Aspen/Basalt, Colorado. 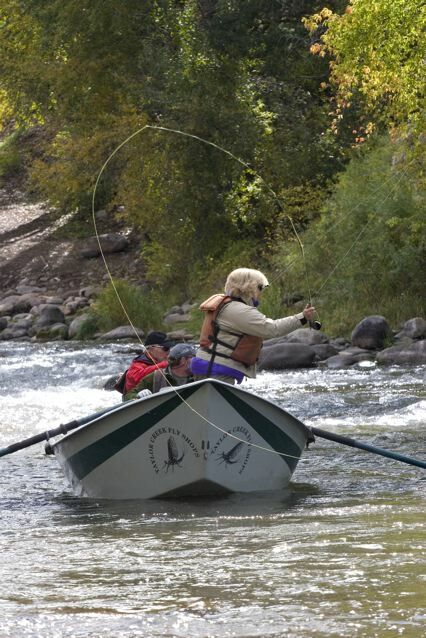 The 16th Annual Rocky Mountain Fly Fishing Classic will be held on September 19-21, 2019. Forty anglers in twenty boats and their guides float the beautiful Roaring Fork & the Colorado River, alternating each day. The two-day "To Catch The Cure" tournament again should raise approximately $35K+ for Cystic Fibrosis, a life-threatening disease that affects approximately 30,000 children and adults in the United States. The Aspen/Basalt competition is part of The Redbone@Large Celebrity Tournament Series, founded by Gary Ellis in the Florida Keys over 25+ years ago after his daughter was diagnosed with CF. The series has grown from one tournament to over twenty-five tournaments worldwide. Mark also participates in numerous Redbone Tournaments throughout the year as an angler. The competition in Aspen/Basalt is a strict catch-and-release, point accumulation tournament for Rainbow Trout, Brown Trout. Participants compete for awesome artwork. One doesn't have to be an accomplished fisherman-woman to participate. 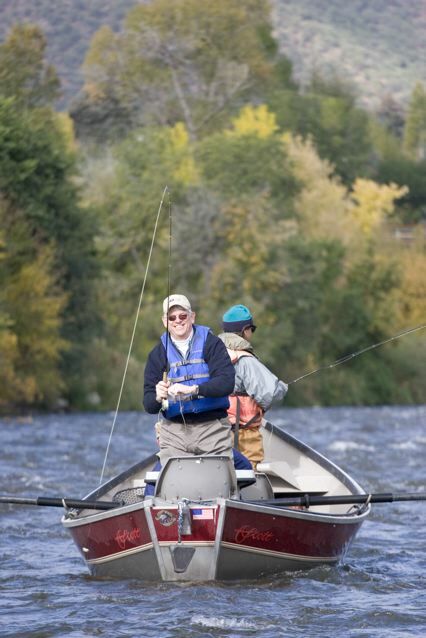 The Best guides in the valley provide all the equipment and professional instruction. 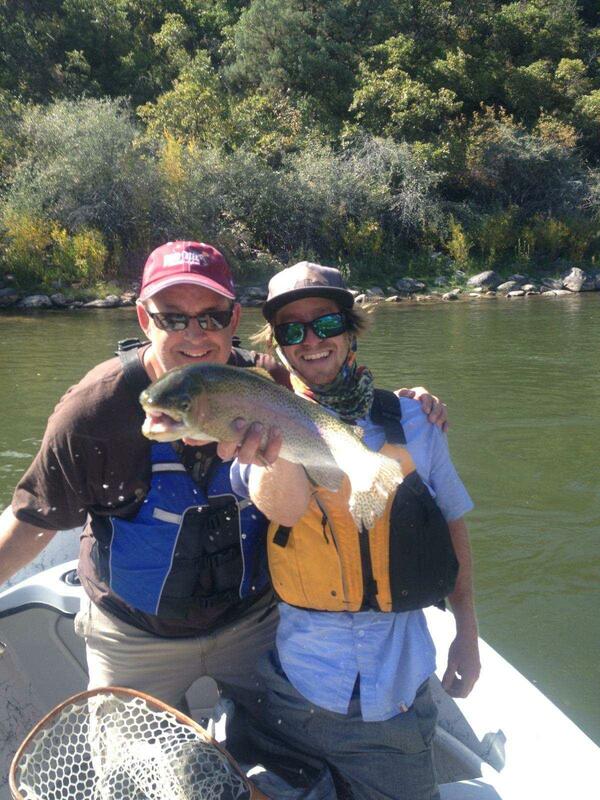 Some of our guests only fly fish once a year and catch a lot of fish. 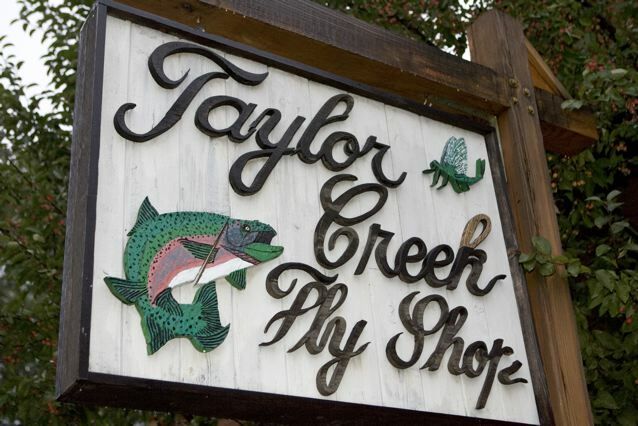 For more information about next year’s Rocky Mountain Fly Fishing Classic in Aspen/Basalt, Colorado to be held September 19-21, 2019, Call me (Coop) at my office (303) 843-1545.